Creative branding expert Jonathan Gabay is founder of Brand Forensics and sits on the core faculty of the world’s biggest marketing training body – The Chartered Institute of Marketing. 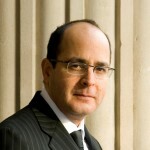 As a journalist, he regularly delivers incisive comment and analysis for the national and trade press, including SKY, BBC, Channel 4, Five, ITN and Bloomberg TV and as a conference speaker has addressed business gatherings all over the world and spoken for various global academic institutions. Jonathan delivers captivating, up to the minute lectures to leading business organisations, including UK FTSE companies, in sectors ranging from finance and technology to FMCG and travel. His expertise and experience has been gained working for top creative agencies and cutting edge brands in the industry – heading up departments at agencies including Saatchi & Saatchi Direct. Jonathan has written 12 bestselling books, many of which are recognised as benchmark texts for marketing study and have been translated into over 52 languages (www.gabaywords.com and www.soultraderstruth.com ). Brand Forensics is the rare fusion of corporate experience, audience rapport and outstanding creativity gives Gabay significant status on the speaking and conference circuit. By avoiding jargon, ‘the camouflage of the incompetent’, and dry analytical prose, his approach provides insight and entertainment in equal measure and his incisive comment on brand-related issues gets to the heart of important issues.